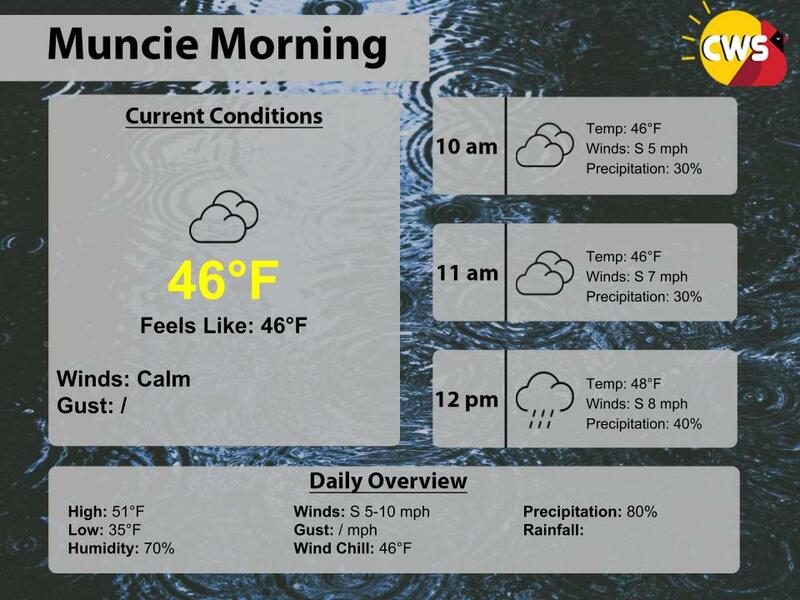 This morning temperatures are in the mid 40s. They are not going to warm much with high temperatures near 50 degrees. Clouds have moved in and we are seeing overcast skies. Our next weather maker will move in bringing us rain chances especially during the afternoon and evening.